Nationwide law firm providing legal services in the area of surrogacy; egg, sperm and embryo donation; estate planning; and informed consent review. 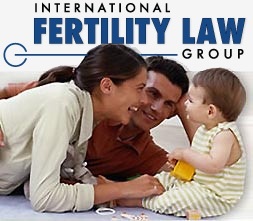 International Fertility Law Group, Inc. was founded by Willard K. Halm and Richard B. Vaughn, attorneys who have specialized exclusively in assisted reproduction and family formation law for over a decade. They formed the firm to provide their knowledge, as both professionals and parents through surrogacy, to clients around the world. Knowing firsthand the happiness that assisted reproduction can bring to a family, Attorneys Halm and Vaughn have tailored International Fertility Law Group to deliver the gold standard in legal services.